We’re looking for people who want to make a difference – that might be to help family members, work colleagues, friends or a local group. There are so many different ways you can help and we want to hear your ideas! The Active North Tyneside team is here to encourage everyone to try and be more active, every day. Being active at every age increases quality of life and everyone’s chances of remaining healthy and independent. Joining in with fun, regular activities in their own neighbourhoods is often the best way to encourage others to take that first step to a healthier lifestyle. What is a Community Health Champion? Someone who can influence their friends, family, work colleagues, or people in their wider community to adopt a healthier lifestyle. Even small changes can have a big impact on the health and wellbeing of others. Active North Tyneside will support you to support others in your community. 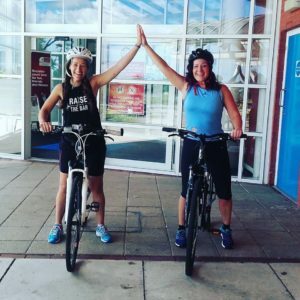 If you can encourage and support two other people to become more active and can spend some time with them, sharing your own life experience, this could be the programme for you! You can use your imagination and have fun, whilst keeping active with others. What do you need to do to qualify? Anyone can register. When you do, you’ll get a free easeEXTRA card and goodie bag. To qualify as a Community Health Champion you need to support at least two people to take up some physical activity and complete 10 sessions with them within a six-month period. It could be going for a weekly walk, riding your bike, going to the gym, swimming, doing an exercise class, or something else! You’ll need to complete a simple record sheet and let us know how it’s going. Why do we need Community Health Champions? Please contact active@northtyneside.gov.uk or ring (0191) 643 7447 for more information.